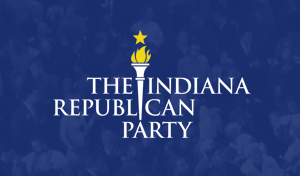 Our Mission...to recruit and support candidates for public office who exemplify attributes of the Republican platform and to educate the electorate as to the positions of the Republican Party and the qualifications of the candidates. MANY THINGS MAKE SPENCER COUNTY A GREAT PLACE TO LIVE WORK AND PLAY! ONE OF THE MAJOR PARTS OF THAT ARE THE PEOPLE THAT SERVE IN PUBLIC OFFICE. Here they are: KEEPING SPENCER COUNTY GREAT! VOTE REPUBLICAN NOVEMBER 6TH. Due to a conflicting event, our October monthly meeting at headquarters in Rockport will be held on WEDNESDAY, OCTOBER 11th instead of the normal Tuesday. Mark your Calendar. Hope to see you there! Here are the precinct results from Tuesday’s election in Spencer County.